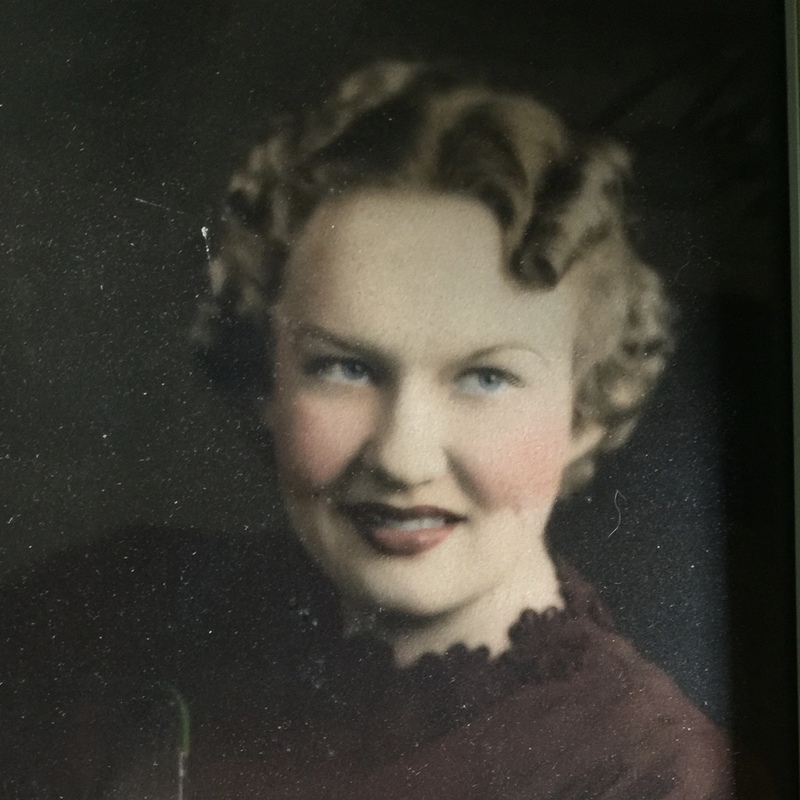 My wonderful grandmother, Betty Jane Martin, died on March 25, 2017, just three days before her 101st birthday. I wrote the following tribute to share with family and friends. For as long as I can remember, whenever we'd take my grandmother out for any sort of celebration, we'd have to leave a little extra time in our schedule for my grandmother to greet everyone we'd pass. She loved to tell people how old she was, and she loved when people expressed their disbelief, telling her how young and beautiful she looked. She loved to brag about her family, and she would even mention from time to time that none of us would be here if it weren't for her. It’s actually quite remarkable to have a centenarian in one's life, to share a table with someone whose eyes have spanned an entire century of our world's existence. What a living history lesson, to know someone who was alive during the First World War, someone who could share stories about living through the Great Depression, someone who could tell you just what life was like in the days before plastic was invented. My grandmother Betty lived through 18 of our country's 45 presidents. She was born in an era when women weren't even allowed to vote, and she lived long enough to almost witness a woman become president. And if that isn’t amazing enough, how about this? Betty lived through 36,863 sunrises and sunsets, and in her beautiful life took approximately 800 million breaths. 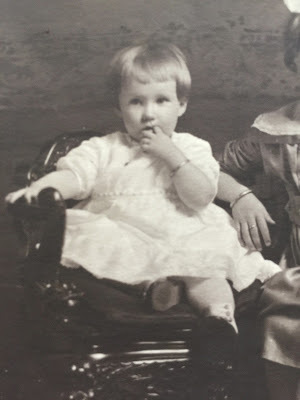 I stand in awe of the sheer length and breadth of my grandmother's remarkable life. And I stand in even deeper awe of how beautifully she lived her 101 years. 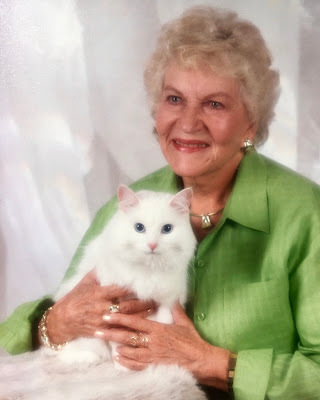 My grandmother lived a life filled with love and friendship, adventure and admiration. She was unfailingly friendly and gracious, and she never said no to a good party. 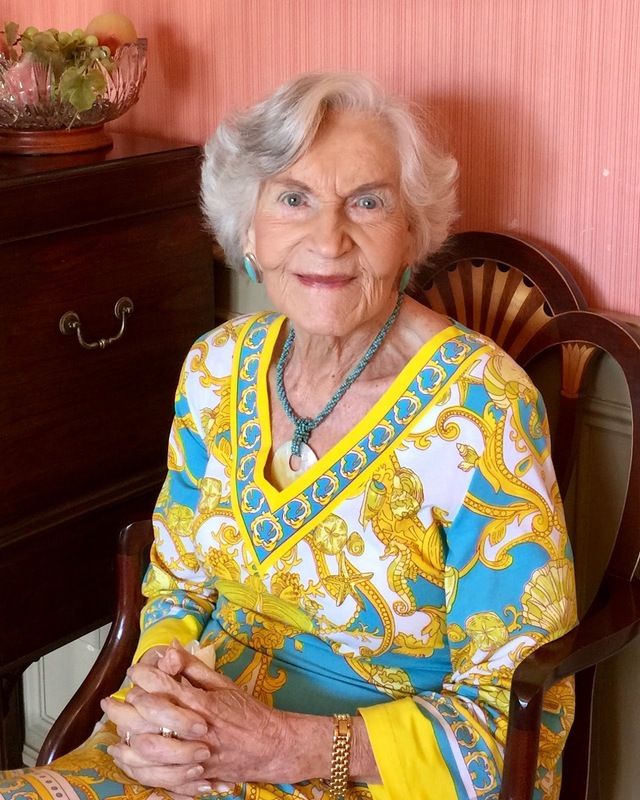 She had hundreds of thankful former students, many of whom called her the best teacher ever, and some of whom still visited with her regularly. And, of course, she had wonderful friends who knew she would always say yes to a dinner invitation or a night out to the symphony. Until her last days, in fact, she had a more active social life than most of her grandchildren. The Buddhists say that all lives come with 10,000 joys and 10,000 sorrows, and my grandmother had a full 100 years of both. Through them all, she lived in unflinching optimism and faith. She lived life head-on with a positive spirit, and was always been more interested in counting her blessings than mourning her losses. Amid her friendliness and warmth, it was easy to miss the quiet dignity and strength with which she lived her life. A friend once said to her, "Betty, you are one tough broad." Chief among my grandmother's blessings was her beautiful romance with my grandpa Jim. And even though he died 36 years before her, you can't really honor her life without including him. I love the story of their marriage. They met on a blind date. They fell in love at first sight. They secretly eloped to West Virginia, because my grandmother was still a school teacher and at that time, and married women weren't allowed to teach. And then they settled down here in Mansfield to raise their children, my uncle Rick and my mother Cheryl. My grandfather died in 1981, and Betty missed him every single day after. She spoke often about him right up until the day she died. She called him a "gentleman's gentleman," and said she couldn't recall him ever speaking harsh words to her. She has shown us all by example how it is possible to hold someone close, how to love someone deeply, how to continue to feel near to them, even after their death. And now it is our turn to do the same for her. 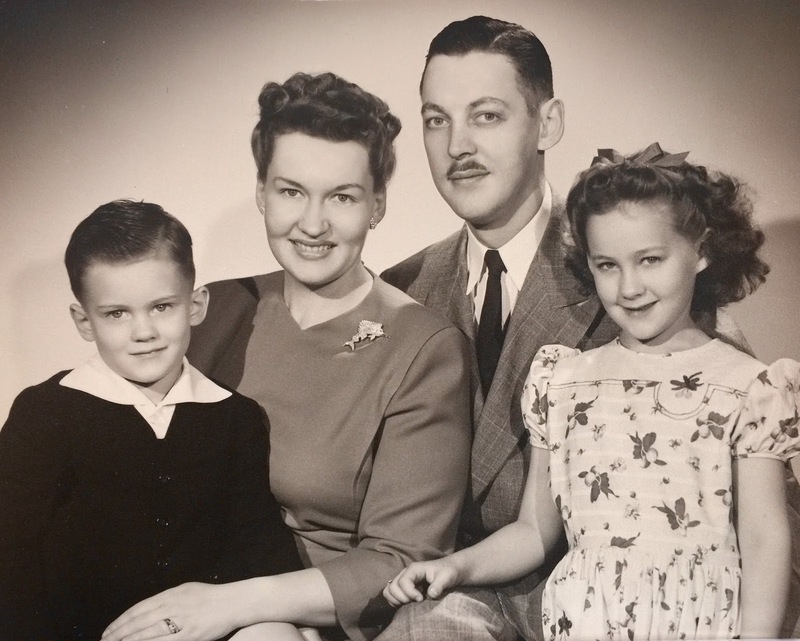 Toward the end of her remarkable life, my grandmother did slow down a bit. But she was so content to still sleep in the home she and my grandfather built a half-century ago, surrounded by memories and mementos of a life well-lived. She loved dozing in her easy chair with her cat Princess, she loved visiting with friends, and she enjoyed watching the birds outside her window. She always smiled when she spotted a cardinal, for she had a secret suspicion that it might by my grandfather coming back to say hello. 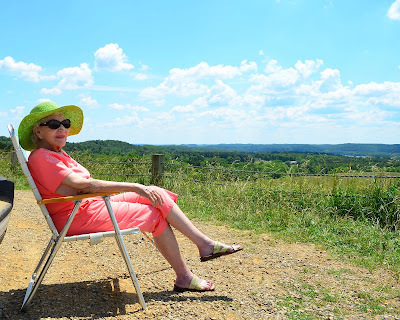 My grandmother also loved Sunday drives to Mount Jeez near Malabar Farm to admire the view across the valley. My sons could predict exactly the words that would roll off her tongue when we'd head out of her driveway: "Just look at the clouds," she'd say. "Aren't they amazing? The sky is so very beautiful this afternoon." If you'd asked my grandmother how she managed to weather 101 years with such spirit and grace, she would have told you that her strength stemmed from her deep faith in god and in the goodness of life. She would have told you that she prayed often and gave thanks every day for all the many blessings that rained down upon her. She would tell you she would be pleased if her long life could serve as an inspiration to others. And after answering your question, she would inevitably begin singing the doxology, which she said was her favorite prayer: "Praise god from whom all blessings flow..."
It’s a deep comfort to all of us, I think, that my grandmother never stopped living right up to the very end of her life. She was beautifully alive and alert even on the morning she took her last peaceful breath, at home, in her own bed, just as she had always wanted. My grandmother so beautifully embodied the wise instructions of author Jonathan Swift: "May you live all the days of your life." Would it be too bold for us to ask for a life that spans a century? Perhaps, yes. But surely, it would not be too bold to ask to fully inhabit our lives for all the years we are blessed to shine, just as my grandmother did. Surely, it wouldn’t be too bold to ask to embrace the optimism and dignity and faithfulness and spirit that that Betty shared with us. And so let us praise Betty Martin's beautiful life and spirit. May she inspire us to live well as long as we can, to say yes more than no to the adventure of life, to love deeply and with delight. May Betty’s long and beautiful life inspire us to count our blessings rather than nurse our wounds, to face each day head on in deep faith and devotion, and perhaps even to pause every now and then to praise the birds and the flowers and the clean blue sky. "Just look at the clouds. Aren't they amazing? The sky is so very beautiful this afternoon."